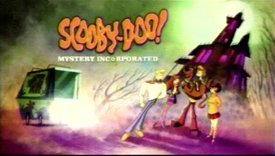 Cartoon Networks new Show Scooby Doo Mystery Incrorparated is an all new Scooby Doo series and it is extremely cool it is on Mondays!!!!!!!!!!!!!! on Crtoon network please watch it I will report more on it later on, but for now!!!!!!!!!!!!!!! !